Private Wealth Management Group is uniquely qualified to provide guidance and expertise in the areas of Wealth Management and Special Needs Planning. 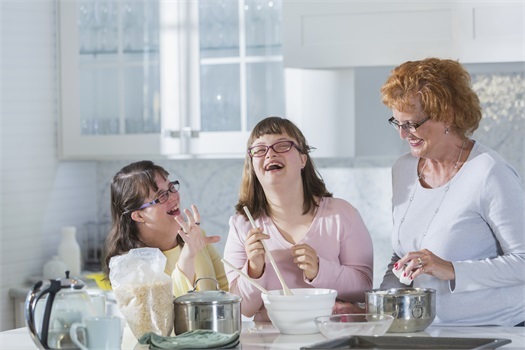 With over 35 years of financial experience and skill, we help our clients plan for and achieve their goals and dreams, as well as understand the challenges of caring for an individual with special needs. The complexities of foundational planning and the utilization of resources all reinforce the need to partner with a firm that understands the obstacles you face. With something as personal as your finances, it’s important to work with an advisor you trust and with whom you want to work for the long-term. After all, building a financial plan is not a one-time event; it is an ongoing process that requires adjustments as your life or goals change. At Private Wealth Management Group, LLC. we want to fill this role in your life. We welcome the opportunity to guide you along your financial path. Before we can create a plan to help you meet your financial goals, we’ll need to know a bit more about you. In this short exercise, answer questions about yourself and your future objectives. Then, request a consultation so that together, we can build a plan to help you get there. Smart investing doesn’t have to be complicated investing. We take a personal approach to your wealth management needs. Specialized planning can be critical to provide peace of mind for parents and a secure future for their special-needs children. Securities and Investment Advisory Services are offered through Woodbury Financial Services, Inc., Member FINRA/SIPC. Insurance offered through Private Wealth Management Group, LLC which is not affiliated with Woodbury Financial. Woodbury Financial Services, Inc. does not provide tax or legal advice. This communication is strictly intended for individuals residing in the states of CA, FL, MI, NC, OH, TX, VT and WI. No offers may be made or accepted from any resident outside the specific state(s) referenced.